presidential nomination, became a member of the Mormon church while his family lived in Nevada during his childhood years, according to a report on the political blog Buzzfeed. 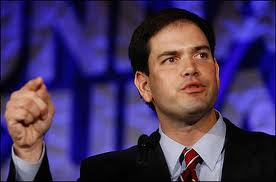 Family members told the publication that Rubio was baptized in the Mormon church at about the age of 8 – along with some of his family members – when they lived in Nevada. Several years later he left the Mormon church and rejoined the Catholic Church, the report said.